Offers will be presented on Tuesday, please submit by Monday at 10pm. Please no escalation clause. Seller retains the right to accept an offer before. These 62 gated townhomes are located between W Chatfield Avenue and S Wadsworth Blvd in Littleton. Majority of the homes were built between 1996 and 1998 with 1300-1800 square feet. Columbine Hills Elementary, Ken Caryl Middle, and Columbine High School are located close by to this location and kids attend these schools from this area. Columbine Family Practice which specializes in family medicine is just 2.8 miles away from these townhomes. Also, the Denver Botanic Gardens Chatfield Farms which is known for exceptional bird watching is just 2.5 miles away from this location. Chaitfield Dog Park which provides wide area of completely fenced, open space for dogs to exercise; including two ponds and miles of paved and unpaved walking trails is just a short drive from this location. These townhomes are surrounded by several restaurants and shopping attractions. See what your Townhome is worth With an Instant Home Valuation Online. Want advice on selling your Townhome? We provide a free staging consultation, pre-listing prep plan, and an Overlook at Marina Pointe real estate market analysis. Call us at 303-325-5690 to learn more. New to the Area? 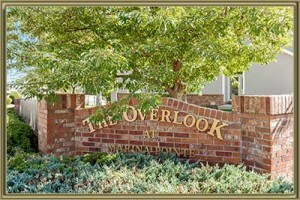 Call our Overlook at Marina Pointe real estate agent at 303-325-5690 to schedule your tour of Townhomes in Littleton CO.